With Google Stadia, the internet giant is looking to spearhead a new way of thinking about gaming, with streaming at its heart. That means, in Google's eyes, the physical console is going the way of the dodo, at least when it comes to its Stadia service. “We are absolutely firm that we are not, will not, and will never release a console. 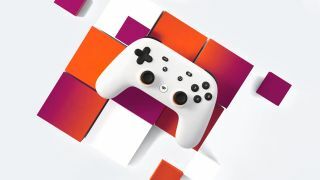 [Stadia is] a new generation platform, rather than a next generation platform. Without fixed hardware driving the experience, it'll all come down to your broadband connection to ensure gameplay is fun. Harrison has said that his team have made great advances in the streaming space to ensure that even the holy grail of gaming – play at a 4K resolution with a 60 frames per second refresh rate – is available on a relatively modest 30mbps connection. What level of compression is needed to hit that target remains to be seen. But Google's confident talk around the service does point to a promising future.